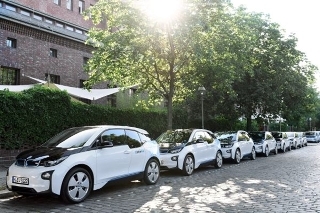 It’s an acceptance that more needs to be done to promote electric and plug-in hybrid vehicles in Germany – the 12,000 currently on its roads is far short of the one million target by 2020 – and the Council said fiscal incentives are important. The bill proposes introducing a tax exemption for businesses to provide workplace charging for employees, as well as a 50% incentive against charging equipment. Each year, the available discount will decline by ten percentage points, settling at 20% in 2018 and 2019. It also calls for a subsidy of €5,000 for private buyers against purchasing a pure electric vehicle, and €2,500 for a plug-in hybrid if it emits less than 50g/km or can travel at least 40km on electricity, as well as for rapid charging infrastructure to increase massively on Germany’s major routes. Privately owned electric vehicles number just 3,100 units in Germany. Volker Lange, president of the VDIK (Association of International Motor Vehicle Manufacturers) has welcomed the news: “This resolution is a clear signal that will support the spread of electric vehicles, especially in the commercial area. The German Bundestag will have to quickly address this draft bill and pass a corresponding law as quickly as possible. Only this way will it be possible to stimulate commercial users to make the respective noteworthy investments still in 2015," he said.